When you take care of your teeth, you are doing more than just improving your smile, you are providing additional maintenance to your overall health. The benefits of excellent dental care go beyond just resolving a toothache or decay. In addition, certain conditions of your teeth are an indicator of how you are doing in other parts of your body. If you experience a sore jaw upon waking up in the morning, or are grinding your teeth throughout the day, these could indicate a sleep disorder. Teeth grinding is statistically associated with individuals who also experience sleep apnea. Teeth grinding can also be a subconscious coping method of managing stress or anxiety. It is essential to schedule a visit with your dentist to confirm whether these conditions are associated with sleep disorders. Heart disease can progress in some individuals while remaining unware of the problem. Symptoms may include gum problems, although this correlation is not 100 percent clear. What can be observed is that patients with gum disease have a high risk of developing diabetes. While this is not a clear correlation, it remains imperative that patients practice regular brushing and flossing to ensure the best chances of minimizing gum disease. When enamel erosion is detected by a dentist, one potential conclusion of this condition is whether the patient may be experiencing an eating disorder. A poor diet can also be visible through stained, discolored, or cavity-affected teeth. Any of these conditions, regardless of their cause, make it necessary for patients to schedule a visit with their dentist. Professional treatment options for discolored or stained teeth include teeth whitening, porcelain veneers, cosmetic dentistry, and more. 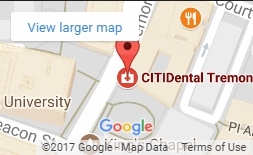 For additional questions regarding the relationship between dental and general health, contact CITIDental Tremont today.